Dangerous animals from all over the world gather for the Most Dangerous Animal of All Contest. Snakes, spiders, sharks . . . who will the winner be? Deadly poison, huge teeth, razor -sharp horns, and fearsome feet are just a few of the ways that animals kill. Predators mean to kill. Prey simply defend themselves. And yet, the unexpected most deadly-animal doesn’t mean to harm at all! This is a book for my boys! They love anything with big teeth. Sylvan Dell offers much more than just a book to read. I love how they have learning activities at the end of the book like how animals use adaptations, where do the animals live throughout the world, and a design your own animal activity. There are additional links online to a free teacher guide. The one for the Most Dangerous can be found HERE . 44 pages of ideas and activities, you can make this into a unit study on all things dangerous! This book is great for ages 4-8. 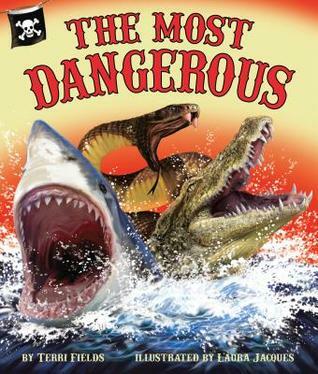 Would make a wonderful summer project to delve into the world of dangerous animals!